Objectively, Sophie is a success: she's got a coveted job at a top consulting firm, a Manhattan apartment, and a passport full of stamps. It isn't quite what she dreamed of when she was a teenager dog-earing pages in exotic travel guides, but it's secure. Then her best friend bails just hours after they arrive in Hong Kong for a girls' trip, and Sophie meets Carson, a free-spirited, globetrotting American artist. In the midst of their whirlwind vacation romance, Carson invites Sophie to join him on his haphazard journey around the world. While the brief international jaunts she sneaks in between business trips don't feel like enough, Sophie is far too practical to throw away her five-year plan on a whim. Yet Carson's offer forces her to question whether the reliable life she's chosen is really what she wants--and she soon discovers that his feelings for her run deeper than she realized. KRISTIN ROCKAWAY is a native New Yorker with an insatiable case of wanderlust. After working in the IT industry for far too many years, she traded the city for the surf and chased her dreams out to Southern California, where she spends her days happily writing stories instead of software. 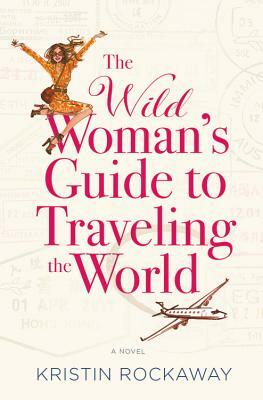 THE WILD WOMAN'S GUIDE TO TRAVELING THE WORLD is her first novel. When she's not writing, she enjoys spending time with her husband and son, and planning her next big vacation.